To begin with, I never intended to write historical. I love reading historicals, but didn’t capable of actually writing one. Then, after more than fifty contemporary romances, my agent and I were discussing the project we intended to submit next to Berkley, the publisher of my Amish romances. I mentioned something interesting I’d discovered about the role of the Amish during the Second World War, and she said, “Why don’t you incorporate that into the new series?” Why don’t I? It took quite a bit of brainstorming and struggle, but eventually I came up with a series of three books, each of which will include both a contemporary romance and an historical aspect which focuses on various important moments in Amish life. In no time at all, it seemed, I was immersed in the relatively little-known story of the Amish during World War II. 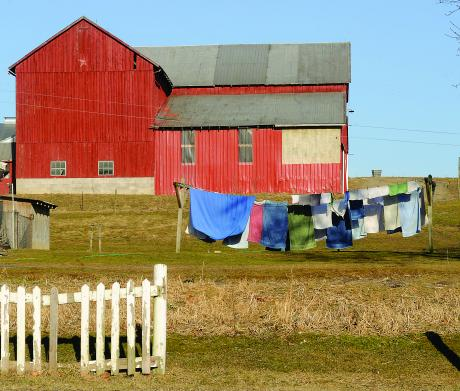 We’ve all seen the covers of Amish novels, depicting peaceful, pastoral scenes of barns and covered bridges. We think of the Amish as being removed from the stresses of modern life. But such is not always the case. The Amish insistence on non-violence dates back to the earliest foundations of the faith. For many years the Anabaptists were persecuted and hunted down as heretics because of their beliefs, but they clung tightly to turning the other cheek. Every Amish child learns the story of Dirk Willems, who turned back from certain freedom to rescue one of his pursuers who had fallen through the ice. His willing sacrifice is an example to modern Amish of the extent to which their belief in non-violence carries them. When the United States was swept into World War I, and a conscription act was passed, young Amish men were forced into the military, and many beaten or jailed because of their refusal to take up arms. As the shadows of another world war began to form in Europe, members of the historic peace churches in the United States became determined that the patterns of World War I would not be repeated. Joining together with Quakers, Mennonites, Hutterites, and other peace groups, the Amish helped to ensure that those with religious beliefs prohibiting them from serving in the military would be able to fulfill their obligation by providing free labor which would benefit all. Amish men of draft age were sent to another state to Civilian Public Service camps. The camps, which were supported and run by the peace churches, housed workers in whatever facilities were available. In many cases, the camps built for the Civilian Conservation Corps were pressed into service. For some young Amish, the chance to see a little more of the world was welcome. The men worked as groundskeepers in national parks and forests, forest firefighters, workers on farms, and hospital workers. Some even volunteered for medical experiments which jeopardized their health and lives. 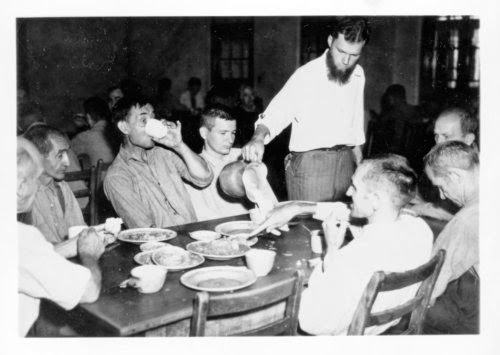 One of the services provided by the pacifists that had lasting effects was their assignment to mental hospitals. At a time when such workers commonly kept order in the hospitals with the use of broom handles, their commitment to caring for the patients humanely had a lasting impact and eventually led to profound changes in the mental health field. Of course, for the fiction writer, it’s crucial to absorb all the research and then incorporate it into a love story in a way that doesn’t intrude on the central truth of the romantic relationship. That, after all, is why readers read our novels. So in the end, the important factor in all my research, fascinating as I found it, was the way the events of the war impacted the story of Anna and Jacob, and through them, the story of Rebecca and Matthew. Coming in October, 2014, THE FORGIVEN, Book One of The Keepers of the Promise, will invite readers to share their stories. I have never read anything about the Amish during the war so I found your post very interesting. I am also amazed how the treatment of the mentally ill patients by the Amish was more humane and changed the whole perspective on things. Very interesting. Thank you for sharing. What an interesting piece! Thanks so much for sharing it with us. It's a side of our history that you rarely hear of. Very interesting. I grew up with Amish neighbors in Pennsylvania where buggy crossing signs are a common sight. During WWll, a German POW camp existed only miles away from some of their farms. I hadn't considered how the war may have impacted the Amish differently than it had the rest of our community. Thanks for opening my eyes. Thanks so much for your comments. I know the story really gave me such insight into paying the cost of belief! Hi, Marta! What an interesting post! Thank you so much for sharing this bit of little known history! Sounds like some good reading Marta. Marta, I loved this glimpse into the past of this compassionate group of people. Thank you so much for sharing! How sweet is to know the Amish helped to change the treatment of those in mental hospitals! That's so cool! Thanks for a great post Marta!